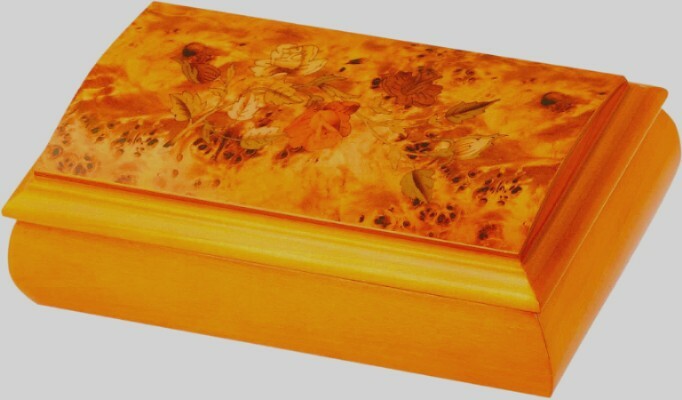 A beautiful wooden jewellery box with floral print lid and mirror inside the lid. This beautiful wooden jewellery box from " MELE " is fitted with a traditional clockwork musical movement that plays 'Waltz of the Flowers'. The lid has a pretty floral and burr effect finish. The music box is wound from underneath. When you lift the lid the music plays. 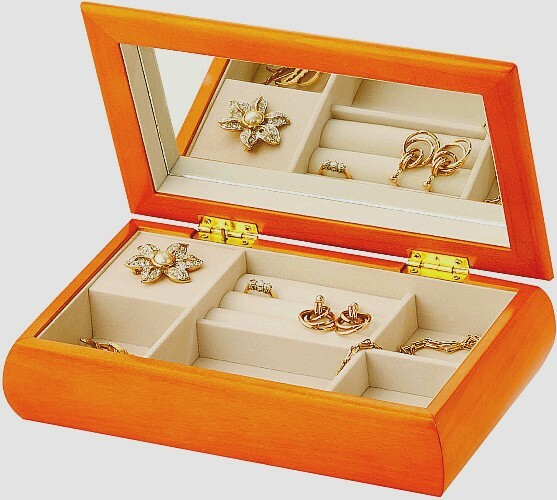 This musical jewellery box has ample storage with the inside split into various compartments including a padded slot for rings. The music box finish is in a satin lacquer.